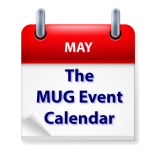 The month of May wraps up with a busy week at creative pro groups on The MUG Event Calendar. Bob “Dr. Mac” LeVitus will make a virtual house call at an Ohio group, while Adobe’s Dave Helmly will check in at one Massachusetts creative pro group, while Adobe’s Al Mooney will present to another in the D.C. area. To wrap up the creative pro group highlights, Imagine Software will also be at the same Massachusetts, as well as one in Illinois. Other topics on this week’s agenda include hacking WiFi networks, iBeacon technology, Photos Siri and more. Los Angeles Creative Pro Users Group – We are excited to welcome back to lacpug after a several year absence, Randy Ubillos. Randy announced his retirement from Apple on April 23, 2015 and has graciously agreed to come on down and speak about his own moviemaking experiences. There will be time for questions. Matt Geller is coming in from Chicago for the West Coast Premiere of "KeyFlow Pro," which allows small collaborative groups to organize, process and share media over small networks without the use of shared storage or costly infrastructure. A must see which is shipping this Summer, 2015. Also Actress/filmmaker Mare Costello will show and tell about "The Syriana Tate Interview"